Why Should i Stop Consuming Energy Drinks? This was the question i asked myself each time i take energy drink because am always conscious of my health. I noticed am already becoming and addict because i consume more than two bottles of energy drink per day. But i soon realize that i was killing myself bit by bit despite it gives instant energy and it fulfill my thirst but as soon as i realize the result of the energy drink i was drinking regularly then, i need to stop bit by bit the same way i started. 1. Contains large amount of Caffeine: One of the reasons you need to stop taking or consuming energy drink is due to the facts that it contains caffeine. 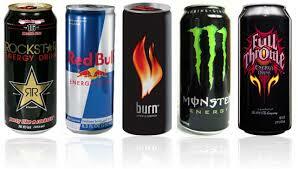 If you do not know, caffeine is the active ingredients in most energy drinks. When you consume a bottle of energy drink, you have an instant relief of stress and you gain energy to continue working but its risky because it may lead to early death through heart disease. It may also cause insomnia which is a disease that cause sleeplessness, caffeine disturbs the brain and the addiction to caffeine is very bad for the body. see sugar in it. The consequence of drinking too much sugar may cause severe diseases such as diabetes, weight gain, obesity and other life threatening disease. 3. It contains alcohol/Ginseng: Alcohol and ginseng are contained in energy drinks and the consequence of consuming alcohol is bad. Ginseng is natural but how are you sure its a flavor substance or just a chemical substance that smell like ginseng may harm the body. Taking these may cause liver or kidney disease for such individual. 4. Contains sodium: disodium it contain is gotten from the salt used in preparing it also, sodium can also be gotten from salt or compound used in preserving the drink not realising that the effect of sodium serious and it affect the heart beat. These are the consequence of drinking energy drinks and i believe the reasons described above are good enough to make you stop consuming it especially for your health. What I observed about this energy drink is that affect some organs in the body such aheart, heart the brain and liver. Infact if you need to take some energy drinks you need to do that in moderation and you can go for zero sugar tolerance. Thanks for reading.